Do you LOVE a cheese toastie? I don’t think I know anyone that could say no to that question. I love cheese, love good bread and love interesting fillings. 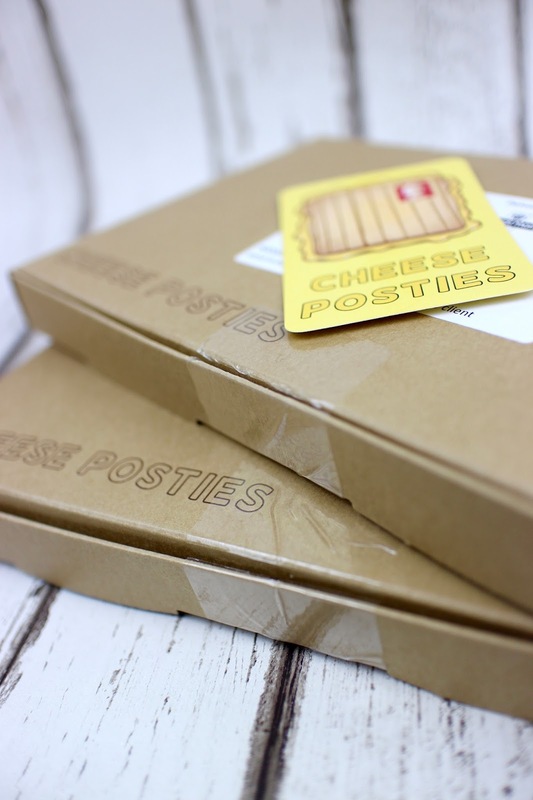 So when I first heard about Cheese Posties, I couldn’t wait to give them a go! The idea is simple. They send you a box with everything you need to create a delicious toastie; even down to providing a toastable bag to put it in. Just add a toaster and you’ll be getting cheesy in no time. They have worked really hard to create some winning flavour combinations that go beyond just cheese in bread and there are even sweet versions too. Veggie Lasagne, Strawberry Shortcake and Chilli Con Queso all feature on the ‘Cheeseboard’. The first toastie I tried was the Veggie Lasagne and I was very impressed. All ingredients were great quality and it was really easy to assemble. The only comment I had is that I would have liked either more of the marinara sauce or a more concentrated version as the flavour was lost easily in the sandwich. I followed this with a Strawberry Shortcake in some delightfully toastie-filled mealtime fun. This one was just delicious and I could have eaten more and more! So, now that you’ve seen how great these are, how would you like a chance to win 4 of your very own toasties?! That’s right, I’ve been given one prize of a toastie each week for a full month to give away to one lucky winner. All you need to do is enter using the widget below. Good luck! Please note: Entry is open to UK Residents ONLY and commenting on this blog post is mandatory. 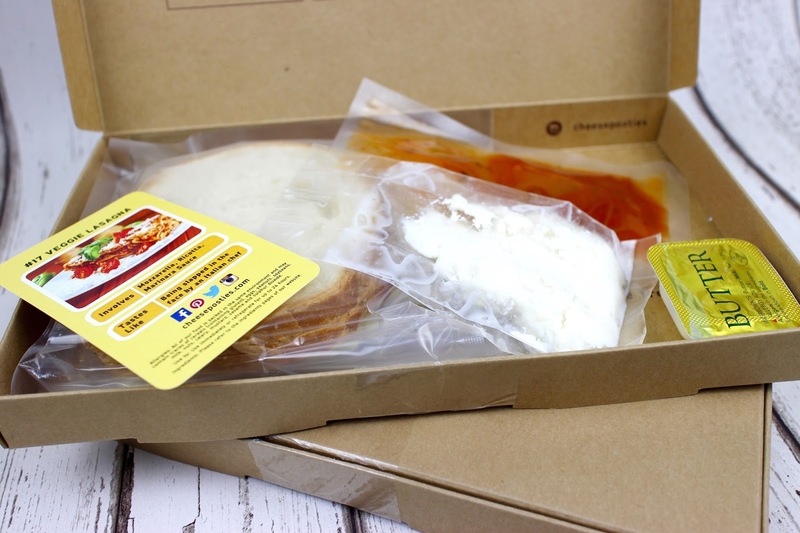 Disclaimer: I received some Cheese Posties to review. As always, I was not expected to write a positive review and all opinions are my own. I assume you’re reading this post because you like sandwiches? If that’s true, I’d love to introduce you to a new blogger challenge I’m running with Stuart of Cakeyboi called Club Sandwich! For Club Sandwich we would love to see all your sandwich combinations. Be they proper sandwiches or toasties, Paninis, bagels, sweet or savoury, healthy or not – you name it we shall accept it! It doesn’t even need to be in bread – I once saw Paula Deen make a sandwich with doughnuts as the ‘bread’! Be creative as you like. Add your sandwich to the Linky at the bottom of this post by the 25th of the month, midnight at the latest. Post the sarnie onto your blog and link back to Cakeyboi and The Crafty Larder, stating who is hosting this month. Follow Cakeyboi and The Crafty Larder blogs on Google + (see sidebar links), if you haven’t already. Baked beans, cheese and nandos peri peri sauce because it's delicious. Cheese with chilli jam, love anything with a bit of spice. I like tuna, peppers, onion and cheese as delicious all combined together. I love a simple cheese and onion toastie. Nutella and Marshmallow it is so so dirty and delicious! cooking Apple and brown sugar – its a great alternative to the cheese ones in a toasty machine! Cheese and Ham as it tastes divine!! I love sausage, cheese and beans. I just love the gooey badness of it! Tuna and cheese.. or Cheese and beans! Not very adventurous, I need these cheese poasties to try more flavours I think! Peanut butter toastie with milk chocolate and white chocolate chips topped off with plain Ruffles Chips!!! I love it because OMG it is the yummiest!!!! Cheese and onion,simple but very tasty. Chutney and cheese – the interplay of irresistible flavours makes it a surefire winner! Cheese, bacon and marmite! It's just classic and amazing and perfect for a hangover! Cheese and quorn slices as they taste soo good! A blt with slices of halloumi too…. Yummy! !